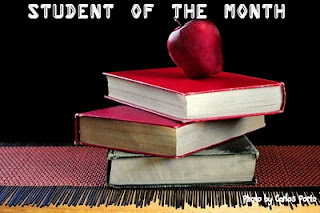 Student of the Month is a brand new monthly feature here at The Broke and the Bookish in which fellow college students will be in the spotlight with an interview or a guest post about being bookish college students. For our first Student of the Month post, I have the pleasure of introducing you all to Steph Su from Steph Su Reads. I've gotten the chance to meet Steph and she is incredible! If you have ever visited her blog, you will see how incredibly well maintained it is. She is seriously superwoman as she is a full time student in college and she runs an awesome blog and somehow manages to read like crazy! It seems fitting that I just had to, for our first post, get the lowdown on HOW she balances being a very successful book blogger and a college student. Jamie asked me to write this guest post about book blogging as a college student back in early September. I think the fact that it took me over a month to get this back to her says quite a bit about the state of attending to blogging business as a college student! For me, the best way to think about blogging is as a break, as a complement to my schoolwork. Is reading 10-12 more books a month than I would have if I didn't blog time-consuming and at times even stressful? Yeah! Do I have to take the time out to write reviews instead of working on essays or thesis research? Yeah! Blogging, like so many other elaborate and involved passions, takes time and energy, two things that college students unfortunately usually don't have enough of. But then I consider how much richer my college life has been since I started blogging. And not just as a conversational device. It feels wonderful to know that I have friends outside of the lush green lawns of my campus; that so many of them are international, living in places I've wanted to visit all my life, is just a bonus. While many of my classmates' reading habits seem to be restricted to the books and essays assigned them in classes, I am so fortunate to be able to say that I've read far beyond just what's assigned to me, and that required reading in college has not sapped the love of reading out of me. And most of all, blogging is like the best "study break" of all. I'm pretty A.D.D. when it comes to doing work, never being able to do more than an hour or two of work on a particular thing at one time. By switching back and forth between schoolwork and work I do for my blog, I end up accomplishing twice the amount of work I would've done otherwise, AND feeling happier as a result! Don't get me wrong: good blogging requires a lot of hard work, and not everyone will feel like it's in their best interests to blog and be a full-time student. But blogging has only enriched my life; it has made me happier, more relaxed, instead of more stressed out. And I don't think I could say that about many other elaborate and involved hobbies. Thanks Steph! I don't know how you do it having been a college student not too recently myself! You are definitely a role model to student bloggers! So, fellow students, how do YOU balance it all? What a great idea for a feature! Thanks for the guest post. Love your blog, Steph Su! Thanks Mrs. DeRaps! I'm hoping that it will continue to be a great feature! There are alot of amazing college students out there who blog and write and do awesome things and it will be nice to spotlight them! And isn't her blog just wonderful! She's definitely one of my go-to blogs when I want to read YA! When I was a university student, I could never have run my blog. I am not sure I even read a single unassigned novel during the school year, though I was really into short stories at that time. Lenore-- I was the same way! I think I read maybe 1 or 2 unassigned books until my senior year of college. I felt like I never had time for anything let alone reading for pleasure. And I spent so much time reading that the last thing I wanted to do was keep reading. I needed to get out of the dorm and do something active! This is a fabulous idea for a feature. It's comforting to know that successful, well-respected bloggers are also full-time students. I know I personally struggle with not only going to school FT but also working FT. It is not fun. Thanks for hosting this feature, as it's really an inspiration to us newbie bloggers that there's hope of being successful, even if life gets in the way. All through school I have always made time to read the things that I want to read. It also helped that throughout all of my GenEds I never needed to read the text books. If I didn't read for myself, what is left of my sanity would slowly slip away. I use reading for pleasure as a reward to myself. So as long as I get all my homework done and all the assigned readings I let myself read what I want. It is actually really great motivation, for me at least. This is a super feature... Why did it end?